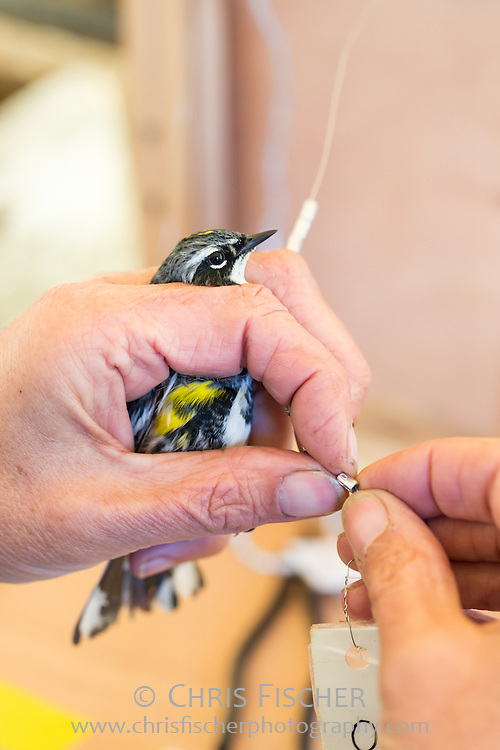 Yellow-rumped Warbler being banded for identification on Stratton Island, Maine. A correctly sized, serially numbered band is removed from the band string. These bands are issued to licensed bird banders by the Bird Banding Laboratory of the USGS.